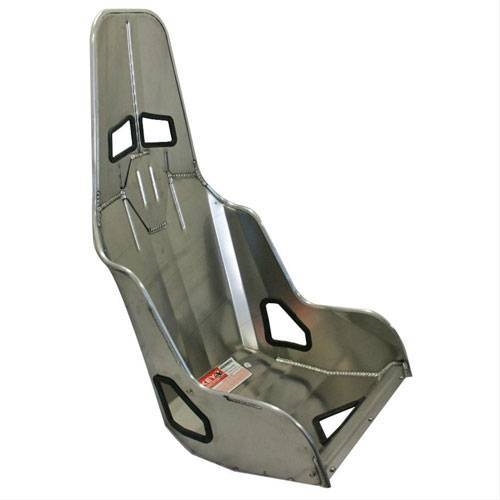 Designed for all drag cars, pro street, door slammers, drag racing cars. Available in 17″ and 18″. Constructed from TIG and MIG welded .100″ thick 5052 grade aluminum. Extra MIG welding on the inside for added strength. Offset aluminum extrusion around perimeter of seat for added strength and safety. Front of seat raised for leg and thigh support. Seat comes standard with double shoulder belt openings and sub belt opening to accommodate all belt systems. Molded rubber inserts for all seat belt openings.